On Saturday 9th and Sunday 10th September Clifton Park in Rotherham welcomed 1000’s of locals for a fabulous free weekend of entertainment and fun! The two-day event was full of fabulous live music, entertainment, vintage vehicle and horticultural displays, a fun fair, food from around the world, emergency services and military displays and most importantly, The Pawson Group were there too! What a wonderful weekend we all had, with a wet and windy start to test our all-weather outdoor abilities on the Friday when we set up, we were delighted to see the sun shine just a little bit throughout the following two days. 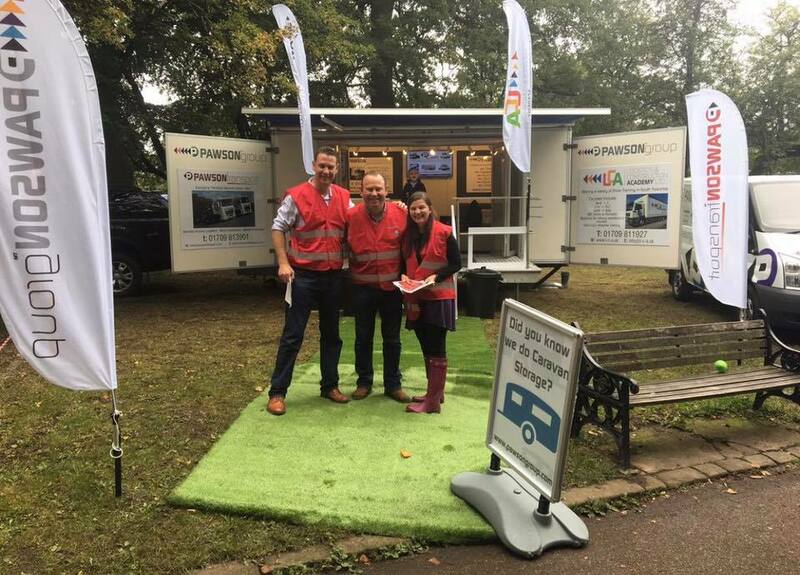 We had a great time meeting lots of lovely local people and talking to you all about training and driving with Pawson Group and as well as showing you our fabulous trucks! It was great to see so many of you are #PawsonSpotters too! What a wonderful weekend we had and we are already excited to see you again next year! For photographs from the day, don’t forget to like us on Facebook and follow us on Twitter by clicking on the links at the top of this page!